My church is located in a neighborhood with the densest population of immigrants in Santa Barbara, California. 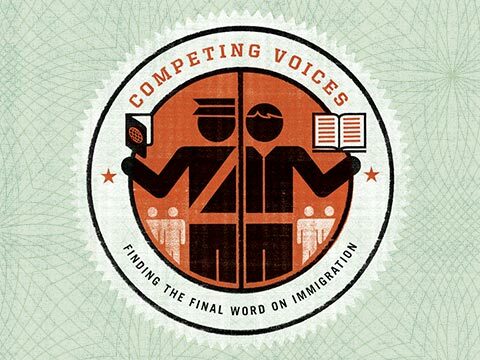 For years, we at Shoreline Community Church (EFCA) had prayed about how we might fulfill God’s great commandment and great commission to love and serve our immigrant neighbors (Matthew 22:37-38, 28:19-20; Acts 1:8). As children’s ministry director, I formed relationships not only with the children but also with the families, and I became aware of the struggles they faced (including deportation). God is not far from my immigrant neighbors. Then in 2012 we learned about the EFCA ministry Immigrant Hope, and we prayed about joining that network of church-based immigration legal clinics. We formed Immigrant Hope-Santa Barbara soon after, and began offering English and civics tutoring while awaiting IHSB’s approval as a Board of Immigration Appeals recognized center. That approval came in May 2014—authorizing us to represent immigrants in the application process for visas, legal permanent residency (green cards) and citizenship. 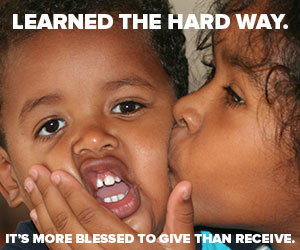 This is a powerful way to serve our neighbors. As part of the IHSB civics class, I review the naturalization application with students and offer consultations to determine if they even meet eligibility requirements. I had studied for a year as a paralegal, so this was a natural fit. And my entire 40-year work career has seen me working with different cultures and economically challenged populations. Prayer bathes our classes as well as those consultations—opening doors to answer more personal questions and to counsel neighbors who are often fearful of the process. Mayra and her husband came into our center later that fall, seeking help with the history and civics questions that were part of their application process for U.S. citizenship. Upon hearing it, Mayra asked with wide, teary eyes to see the verse in Spanish. It was the same verse God had laid upon her heart many years earlier. After completing her application, Mayra asked if I would consider discipling her through a Bible study together. I invited Mayra into my home, and most Tuesday mornings we meet for prayer and Bible study. Mayra is Catholic, but our focus is not on religion; instead, we talk about a personal relationship with Jesus—how He created and gifted each of us uniquely for the calling upon our lives. God has used her to speak wisdom and encouragement into my life as well. It is in relationships like this that I have found my greatest joy. My friendship with Mayra has extended into a relationship with her family and the trust of many other neighbors. And she has become IHSB’s biggest advocate—not only telling others about our classes and sending them to us for immigrant services, but also volunteering to tutor our Spanish-speaking civics students. Additionally, Mayra plays a storyteller role on our IHSB team—telling her story to others to bring about an understanding and compassion for immigrants and God’s plan for us to love and serve the immigrant whom He has appointed to be here. “From one man He made all the nations, that they should inhabit the whole earth; and He marked out their appointed times in history and the boundaries of their lands. God did this so that they would seek Him and perhaps reach out for Him and find Him, though He is not far from any one of us" (Acts 17:26-27). God is not far from my immigrant neighbors. And I am grateful for the opportunity to be there as they seek Him, and perhaps reach out and find Him. Read all the posts in this series, starting at the beginning.